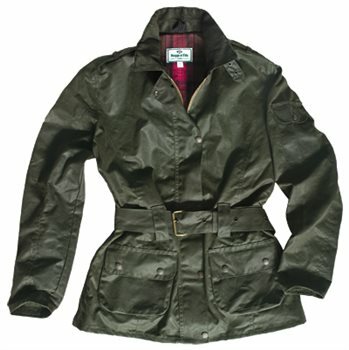 Hoggs of Fife Cheltenham ladies wax jacket is a stylish, belted jacket with a corduroy collar and elegant red tartan lining. 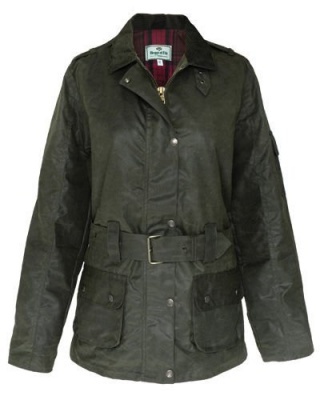 With 2 patch pockets, 1 internal pocket and 1 studded sleeve pocket and studded riding vents, this jacket is ideal for horse riding. 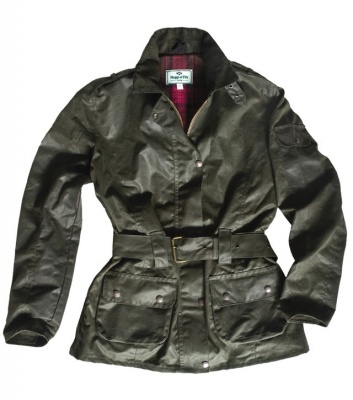 The feminine fit jacket is a perfect choice for a lady whos looking for a jacket that can be used in many occasions. Smart for town and practical for country!